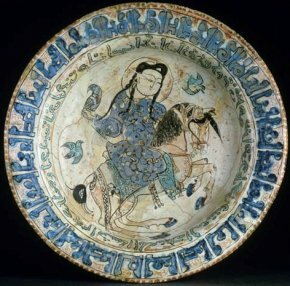 This event, with a catalogue which reveals the total lack of scholarly interest , will in any case have had a sorry outcome : an Islamic bowl was broken as it was being installed in a showcase. We hope the statement provided by the Louvre does not underestimate the damage (other sources are more alarmist). In any case, the damage did indeed occur. This incident once again proves that transporting art works entails high risks and that it should only be done for a good reason. The presence of one of the masterpieces of the Islamic Arts Department at this kind of exhibition was not necessary. This is not surprising given the fact that the show brought together works at the Louvre from different departments around a theme which was too generic. Let us point out that this time the Louvre reacted very quickly to our request, a sign that, we hope, reveals their attempt to be more open in the future.